but we think he's hoping to emulate the massive success of Swing When You're Winning with his follow up album jazzy album Swings Both Ways. If the first single from the cheekily titled album is anything to go by he's onto a winner - big time! Shine My Shoes is jazztastic and sure to win him big kudos around the world. 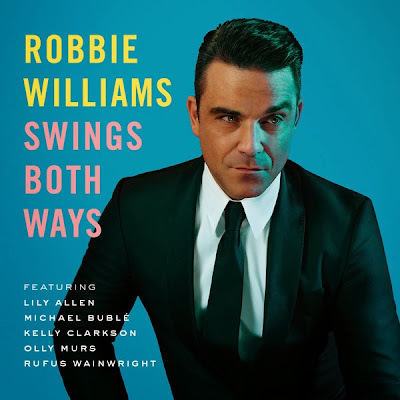 He's also roped in some big names to his upcoming album with Michael Bublé, Lily Allen, Kelly Clarkson, Olly Murs and Rufus Wainwright all lending their talents. In the meantime we get the gem of Shine My Shoes - listen here - you'll love it...!